We left Europe just a couple of weeks ago, and apart from seeing some of the top places to visit in Greece, England and Spain in the past, this was our first big trip to the continent. Having now completed 5 months in the region, we know for certain that we made the right decision in saving our European travels for our 30’s. These days (as opposed to when we were in our 20’s), we have more of an appreciation for culture, architecture, history and food, as opposed to just beach-bumming. Don’t get me wrong, we still love beaches and like to party, but we prefer lazing on the sand for a couple of hours as opposed to the whole day, and we’ll take wine bars and funky cafes over nightclubs any day! Europe satisfied our current interests, and then some. 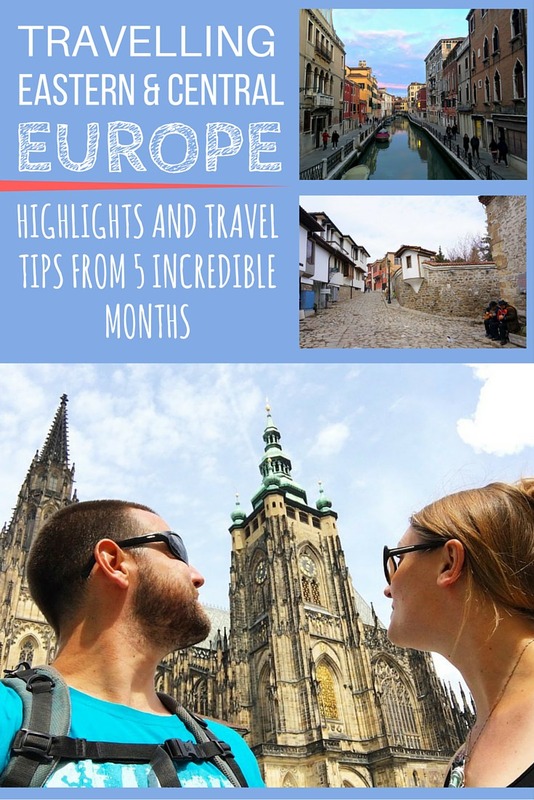 Here’s a round-up of all of the incredible things we experienced during our 5 months in Eastern and Central Europe, plus some travel tips. We love the city of Istanbul, it’s so lively and diverse. The culture and history here are outstanding! 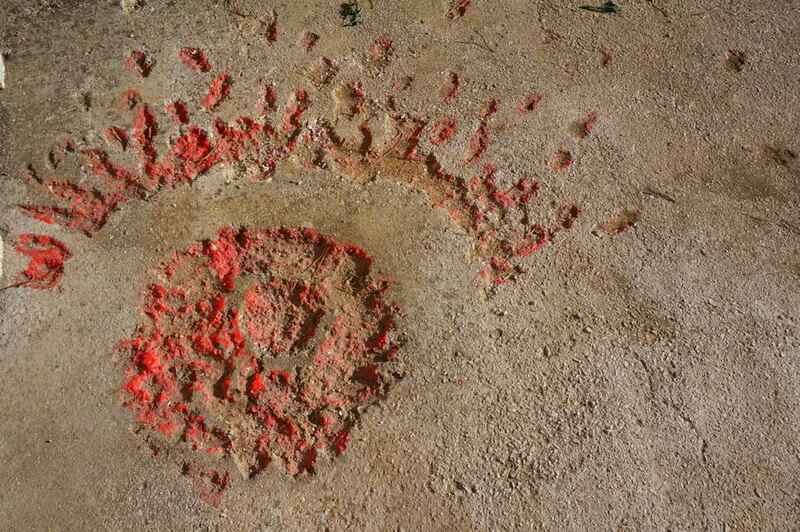 We had spent a week in the city in 2011 so we had seen most of the tourist sites at that time. During this trip, we travelled to Istanbul twice – once to meet up with our friend, Jarryd, and once to speak at the World Tourism Forum. This is a city that we could return to again and again. We stayed at the Sultan Hostel in Sultanahmet, and at the W Hotel Istanbul. $75 / day including $140 for Turkey Visas (this amount does not include accommodation, as we received complimentary stays during the forum). We only spent 2 nights in the capital city of Sofia, but we spent almost a week in the underrated city of Plovdiv. We absolutely fell in love with this place and ended up staying longer than planned. Highlights include visiting two excellent wineries with Bulgaria Wine Tours, and learning about the grapes which are unique to the region (Mavrud in particular was fantastic!). We went on a free walking tour and learned all about the Bulgarian Revival style architecture, the incredible Roman ruins in the city, and the up-and-coming trendy neighbourhood: The Trap (where we watched a great band one night). 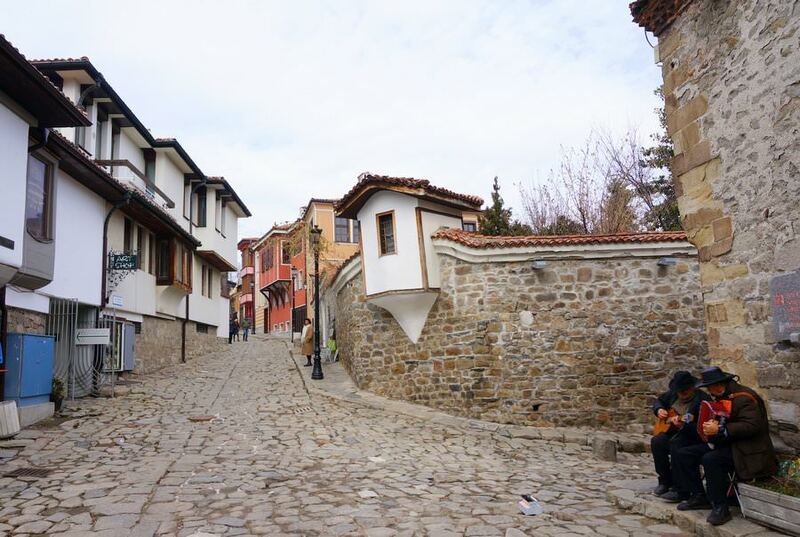 Our favourite part about Plovdiv was the people. Not once did we feel like a tourist, and we had great experiences with the residents of the city – we even got interviewed while there for the local website! Check it out here. We stayed at Hostel Mostel in Sofia, and at Hostel Old Plovdiv in Plovdiv. Our favourite restaurant / tavern / bars in Plovdiv were the Rahat Tepe Tavern and Cat and Mouse Bar. In Sofia, we ate at the hostel. $80 / day including everything. Our experiences in Macedonia (FYROM) were really unique. 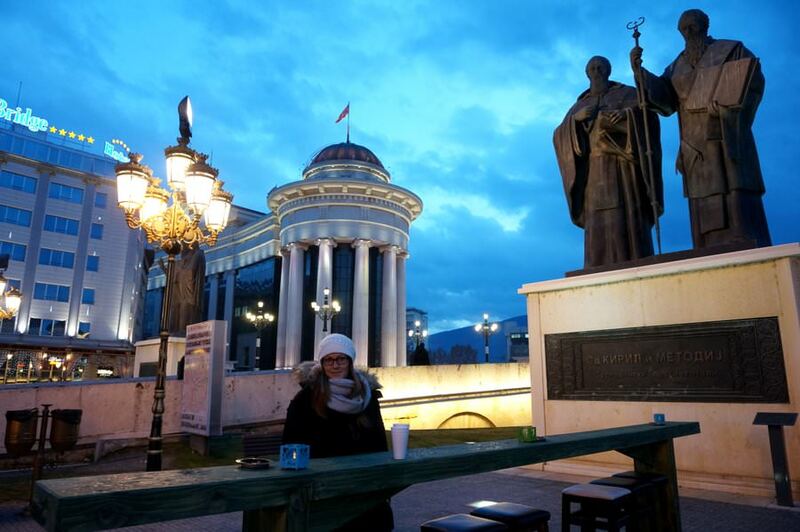 First up was the interesting city of Skopje, which has recently undergone major renovations – 300 million euros worth in fact. We couldn’t believe how many marble monuments and fountains were in the city center. We really liked the old Ottoman bazaar, the Kale Fortress, the restaurants, and the hot red wine! 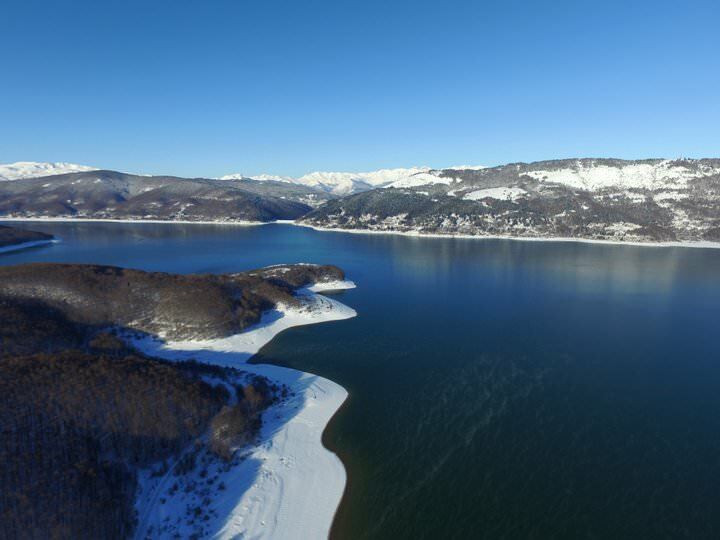 We were travelling here in the winter, so rather than just complain about being cold, we decided to hit the slopes and enjoyed staying up at the Mavrovo National Park and skiing for two days. 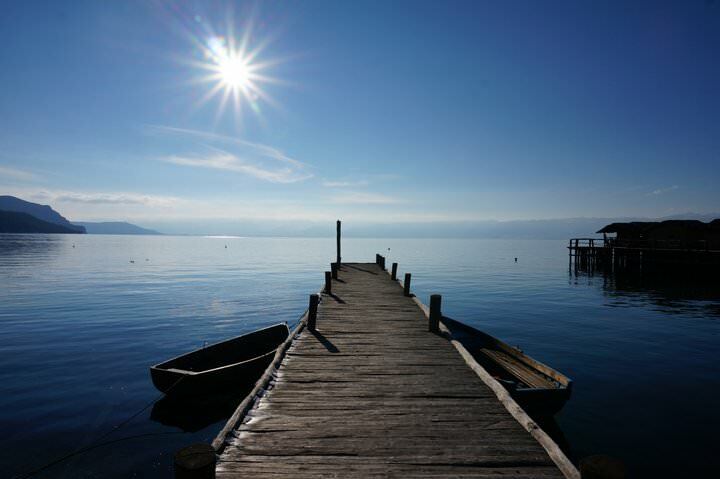 Although we really liked our time in the city and at the mountain, our favourite part about Macedonia (FYROM) was Lake Ohrid. We witnessed the Epiphany ceremony and were invited to partake in the festivities at our guesthouse. It was chilly at the lake, but the sky was bright blue and it was extremely sunny. Our days were spent walking along the lakeshore, visiting monasteries, exploring the old town and eating fabulous food. One of my favourite meals of our entire trip! In Skopje: Hi Skopje Hostel, Mavrovo National Park: Radika Spa and Hotel, Lake Ohrid: Mal Sveti Kliment Guesthouse. 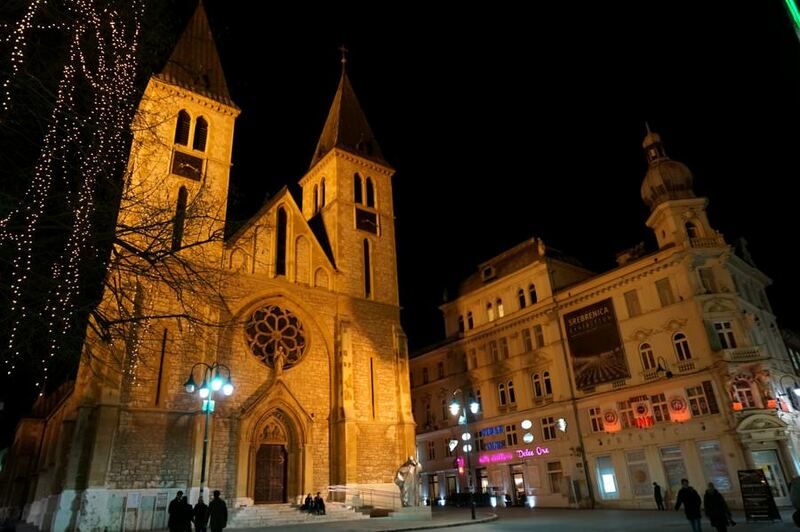 Our favourite restaurants – Skopje: Lounge Restaurant Trend and Bistro and the small restaurants at the Ottoman Bazaar. Lake Ohrid: Restaurant Damar. $109 / day including skiing for 2 days, renting equipment, purchasing winter ski clothes, staying at the ski hill, petrol for the car, and all highway tolls! (This price does not include the cost of a rental car). If you didn’t choose to ski and purchase everything that we did, your budget would be much lower! This wild country is a place that was horribly cut off from the rest of the world during the Communist era. The tourism infrastructure in Albania isn’t very good, and even though we got lost numerous times during our 10 day road trip, we still had a great time travelling here. Tirana was OK – we just did a free walking tour and spent one night, but the real highlights for us was the old town of Berat, the walled city of Girokaster, the stunning coastal city of Saranda, and epic coastal drive from Saranda to Tirana. 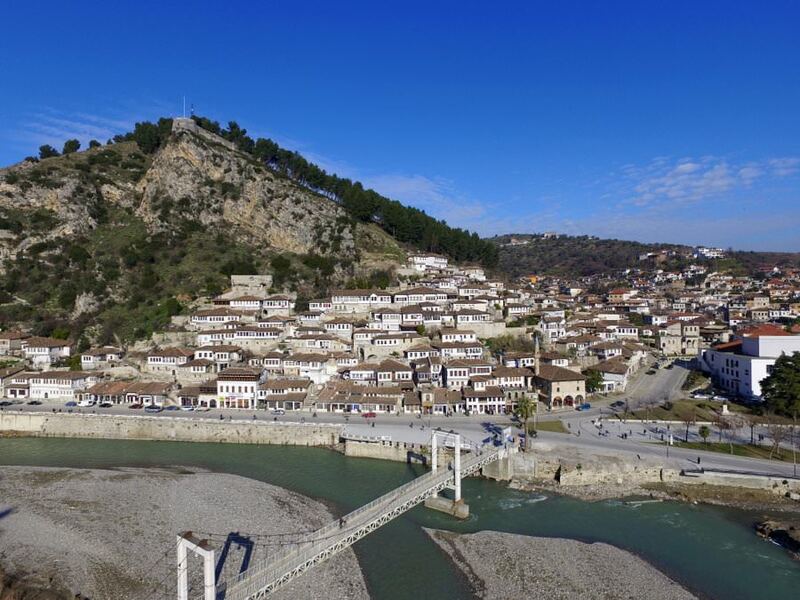 Berat is dubbed The Town of 1000 Windows, see why? Surprisingly, the traditional Albanian food is really good! In Tirana: Trip ‘n’ Hostel and Vila Verde, Berat: Hotel Mangalemi, Saranda: Apartments Serxhio. You can find more Albania Videos here! We can’t say that we’ve seen the country of Bosnia and Herzegovina, because we only spent 5 days in the city of Sarajevo, and drove through some of the rural areas. 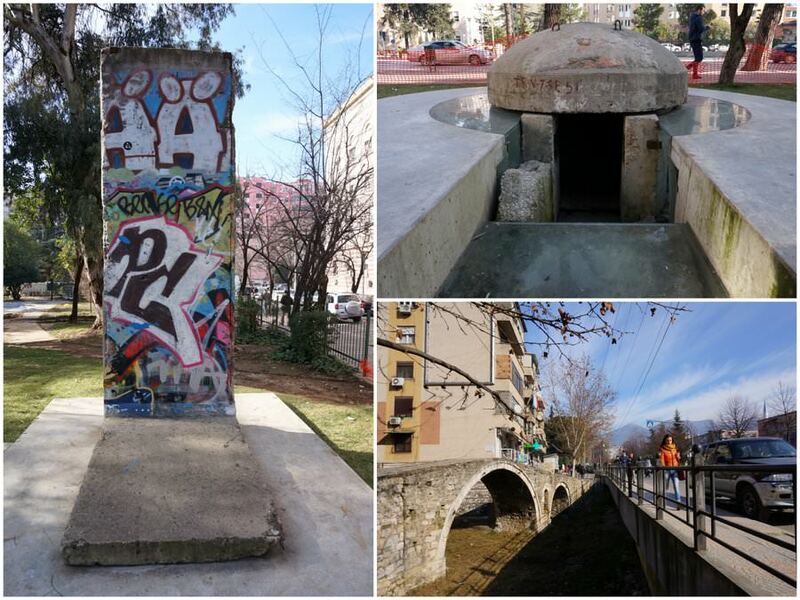 But, from what we saw in Sarajevo, we were intrigued. We were completely surprised and horrified when we learned all about the 4 year Siege of Sarajevo from 1992 – 1996. 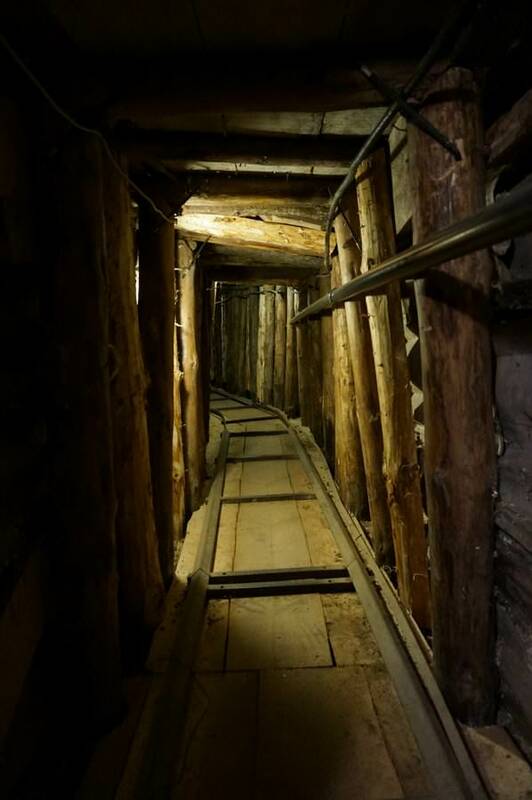 We visited the chilling Tunnel Museum and went on a free walking tour where we learned much about the city’s past. The old town was gorgeous and we loved wandering through all of the lanes and along the river’s edge. 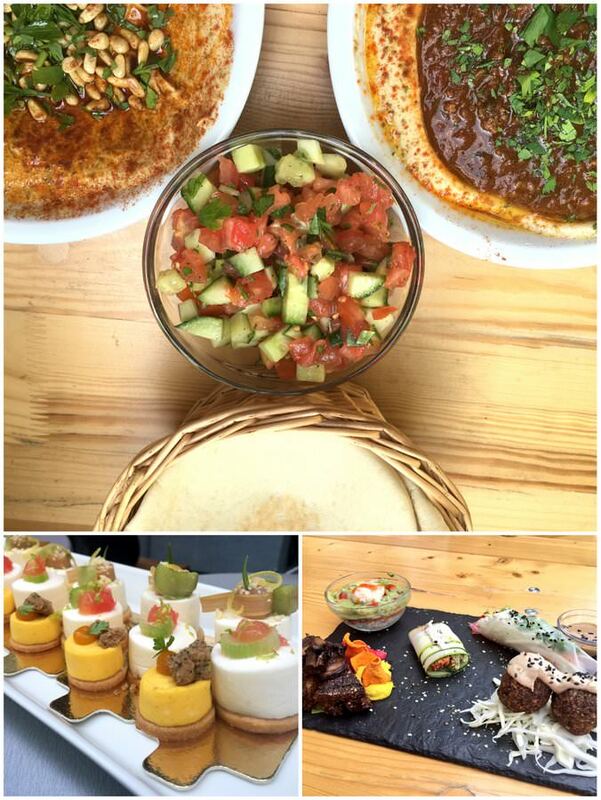 The food here was also very tasty. Bosnia was short, but sweet. We stayed at a great apartment, Sarajevo Apartments. $74 / day including everything. Croatia was a country that we were really looking forward to visiting, and even though we had a great time there, we didn’t have the best weather, which definitely took away from our experience. Travelling in the off-season can be great if the weather co-operates, but in the case of Split and Dubrovnik, we had a lot of rain. Not only that, but those two cities are tourist hot spots, and therefore many of the restaurants and sites weren’t open during the off-season. A storm brewing over the sea! Regardless of the downpours and closures, nothing could take away from the magic of the fortified city of Dubrovnik and the gorgeous old town of Split. Not only were the old towns themselves incredible, but so were the surroundings. 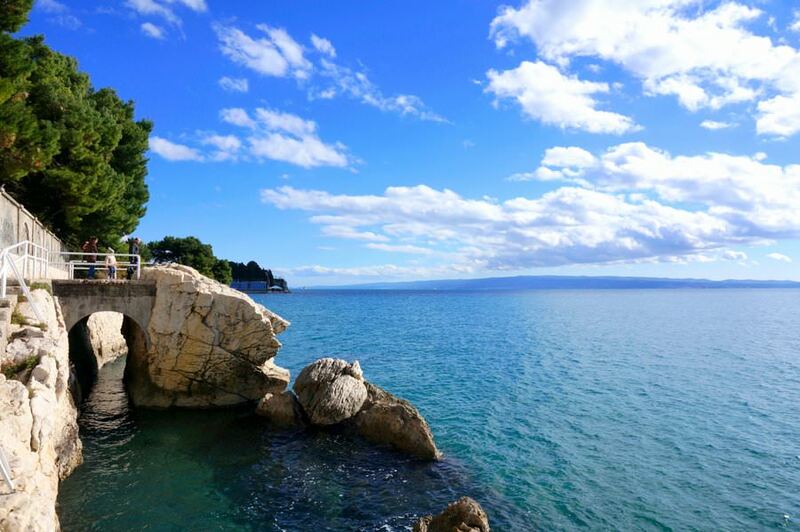 Both cities are set right on the Adriatic Sea and both have parks nearby as well. A gorgeous day in Dubrovnik! We spent two weeks in Split and were able to get a good feel for the city. 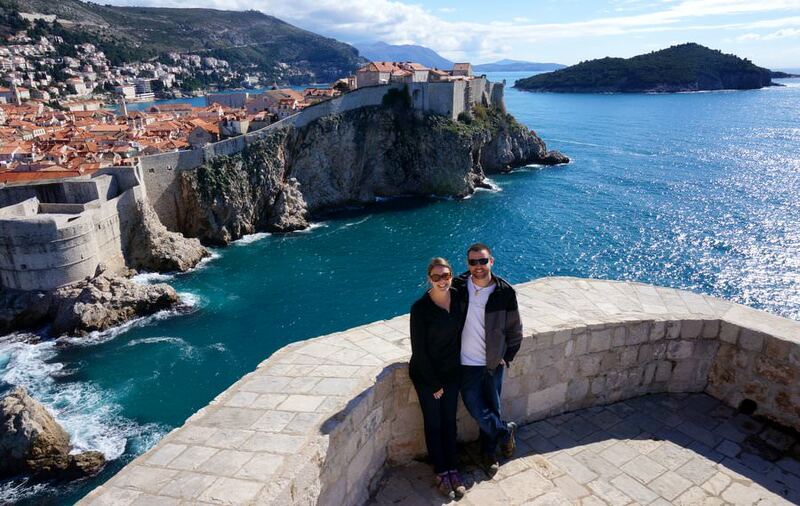 In Dubrovnik, we loved our Game of Thrones tour! We’re huge fans of the show so seeing the locations where various episodes were shot was pretty cool. In Split: Apartment Seagull and Riva Luxury Rooms in Split. In Dubrovnik: Celenga Apartments. 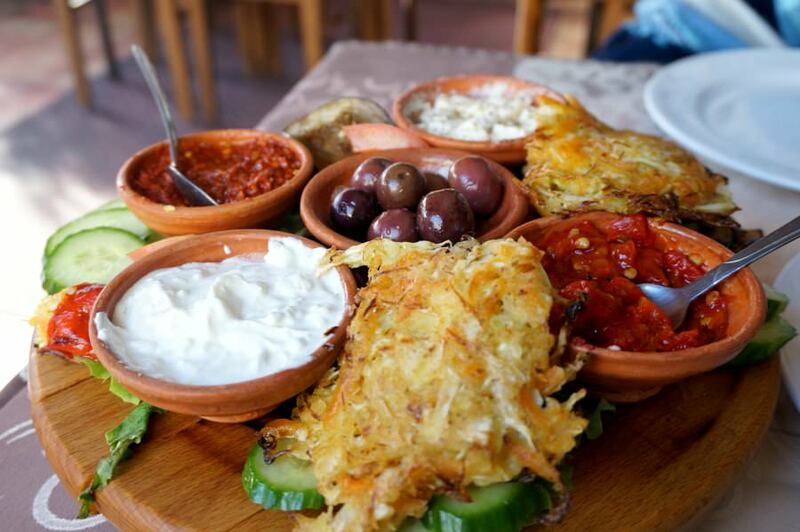 Restaurants in Split: Villa Spiza, Mazgoon and Kantun Paulina. In Dubrovnik: Dubravka, Nishta, D’Vino wine Bar (Do not eat at Gusti). $77 / day, including the cost of a rental car for 12 days. 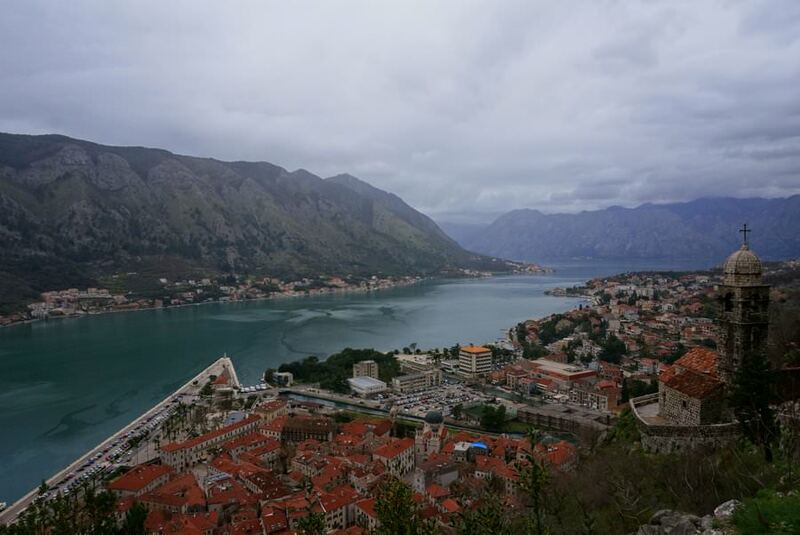 We drove our rental car from Dubrovnik to Montenegro and spent a week at the Bay of Kotor. We based ourselves in the old town of Kotor, and did day trips to the nearby towns of Budva and Perast. Beautiful views…before the rain came! 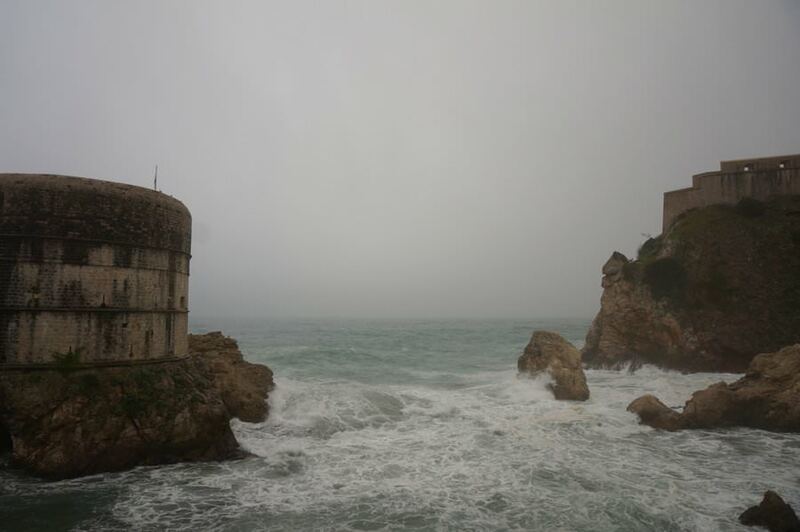 Again, rain plagued our journey, but one thing is for certain – Montenegro is beautiful even with the rain! 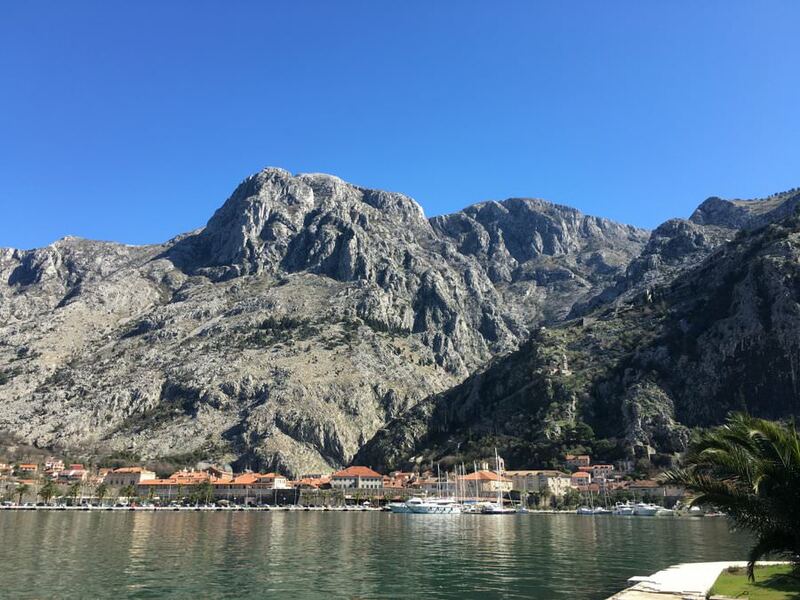 The towering mountains and the wall surrounding the town of Kotor are incredible. We went on a hike up the mountain, visited some churches and strolled along the seaside promenade. There are many more things that we want to see and do here (including hiking in National Parks and swimming in the sea! ), so we will have to return. The sun broke out on our last day in Montenegro! We stayed at the Hostel Old Town in Kotor. 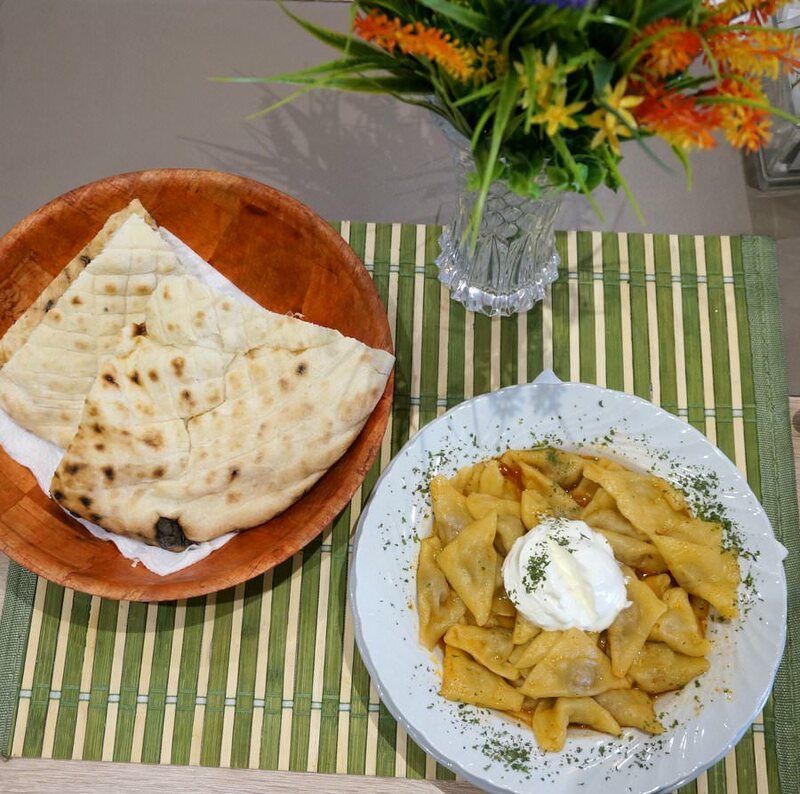 Recommended restaurants: Sara Pizzeria, Tanjga, Taste Of Asia (in Budva) – most restaurants were closed when we visited, but Taste Of Asia was worth the 30 min. drive from Kotor! $96 / day, including the cost of a rental car. 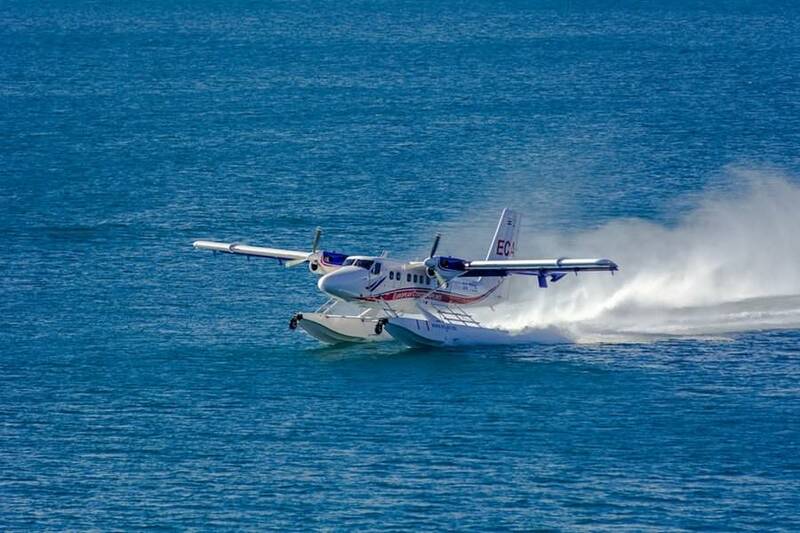 We travelled to Italy from Croatia via seaplane! That was our first time in a float plane, and the views from above over the Adriatic Sea were spectacular. There are so many places to visit in Italy, a country we had wanted to visit for many years. Our flight with European Coastal Airways to Italy was awesome! The wine bars, funky restaurants, unique neighbourhoods, cappuccino bars, historic sites, beautiful architecture and overall vibe of the country had us totally enthralled. We loved the people’s passion for food, wine and friends – I think in another life I was Italian, as I felt at home here. 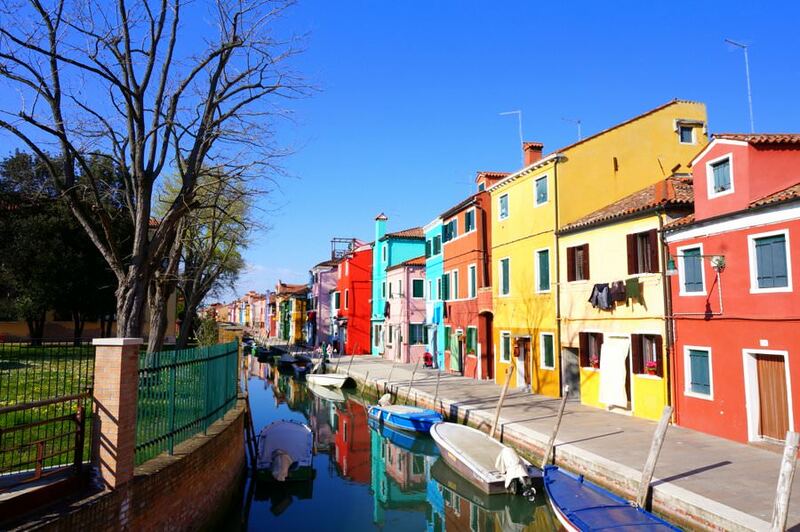 We visited Rome, Florence, the Tuscan countryside, Venice, Murano and Burano. But, Rome was by far our favourite. There’s just something special about the Eternal City. 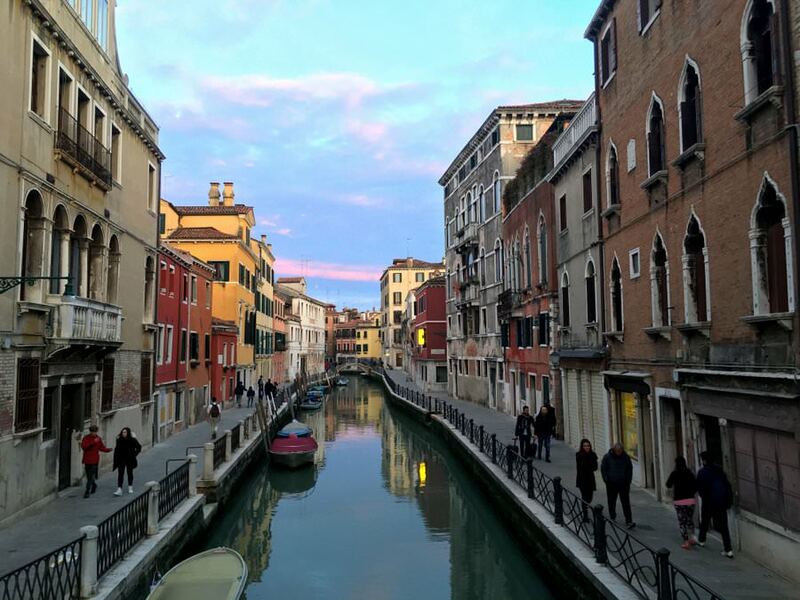 Italy is a country that we know for certain we will be returning to…there’s so much more to see (and eat)! 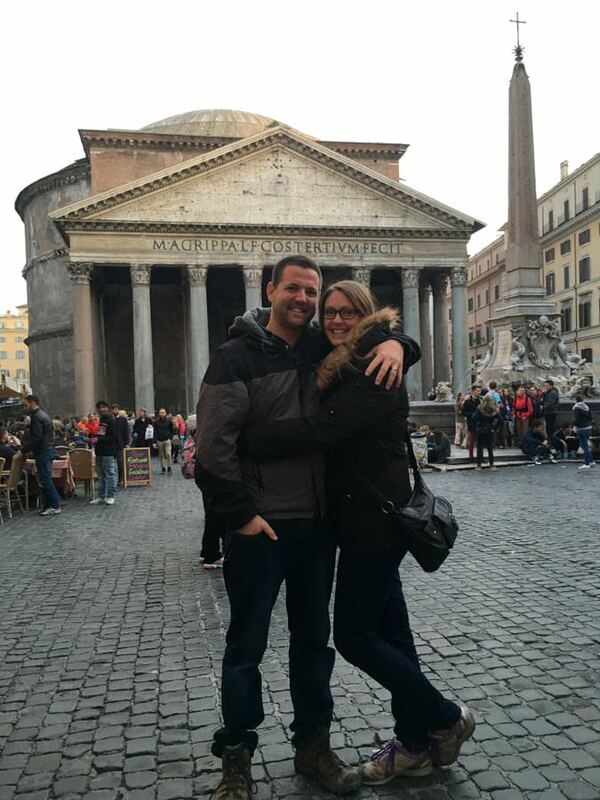 Check out our epic guide on Where To Stay In Rome! In Rome: The Beehive Hostel, Hotel Urbee and Spanish Suites Campo de Fiori. In Florence: Tourist House Liberty. In Venice: New Venice Apartments. In Rome eat at Da Francesca, Emma, Borgo 139, Prosciutteria. In Florence check out Mario’s, Il Buffalo Trippone and Simbiosi. In Venice, eat at La Zucca. After enduring some chilly temperatures and quite a bit of rain, we were ready for some sun. 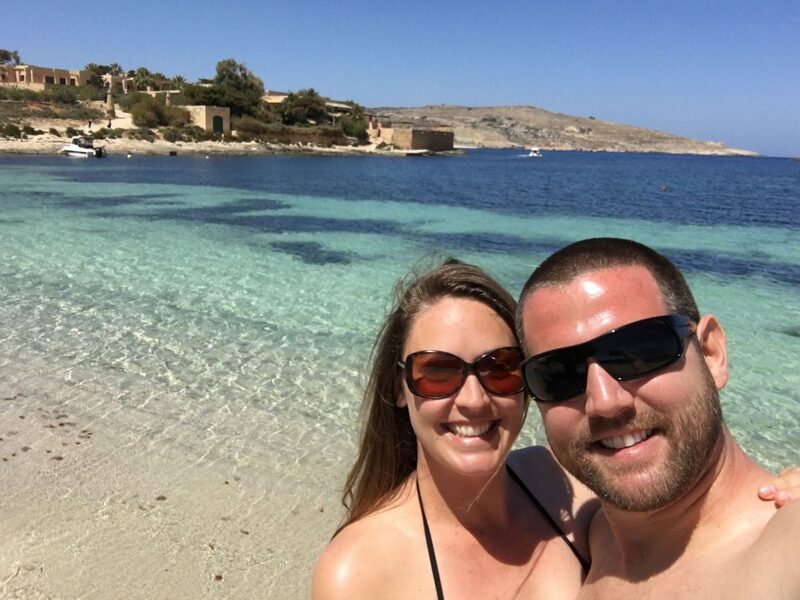 We headed south to the small island nation of Malta, which is located in the Mediterranean. Not only were we wanting some sun, but we needed to have some downtime to get caught up on writing and work projects, and we wanted to unpack for a bit. Malta had it all. We made some amazing friends here and went on many trips around the island. We kayaked, hiked, dived and biked around the island of Gozo. We visited the impossibly blue lagoon on Comino Island. 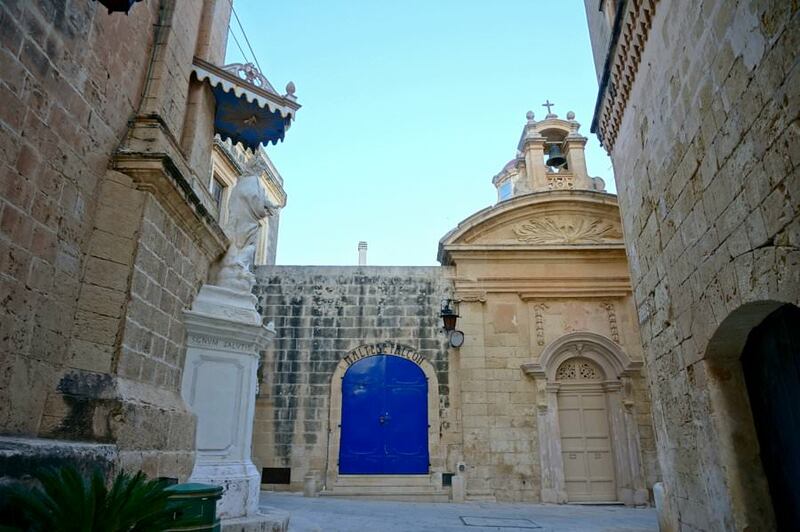 We explored numerous cities on Malta Island, with Valletta and Mdina being our favourites. We swam in the sea (well, Nick did! ), and went on numerous walks. We visited ancient temples and explored quiet back lanes. 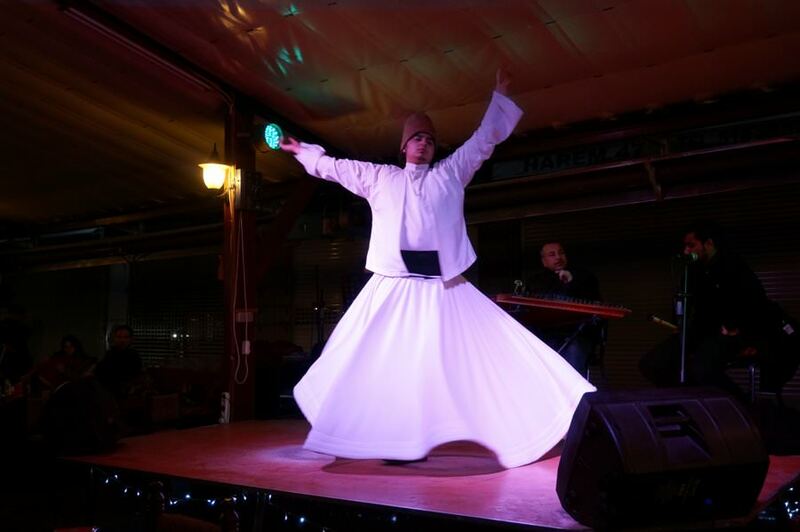 We ate Maltese food, drank local wine, and saw traditional dancing. Those two months were exactly what we needed! We rented an apartment in the city of Sliema. Check it out here. There are too many restaurants to recommend them all, but here are our faves: HIM Pizzeria, Mint, Fontanella, Bayrak Kebab, Country Terrace (Gozo Island). 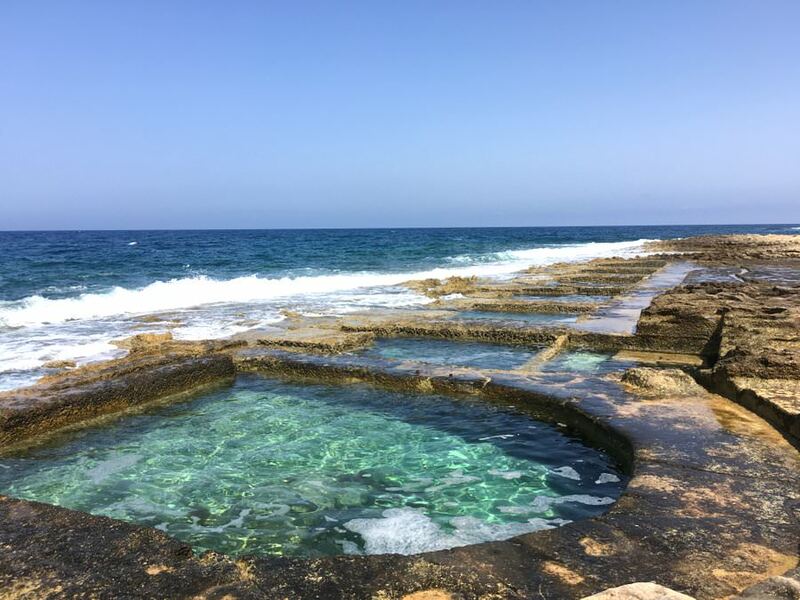 Digital Nomad Decisions: Why Are We in Malta? Berlin is like a world all of its own. 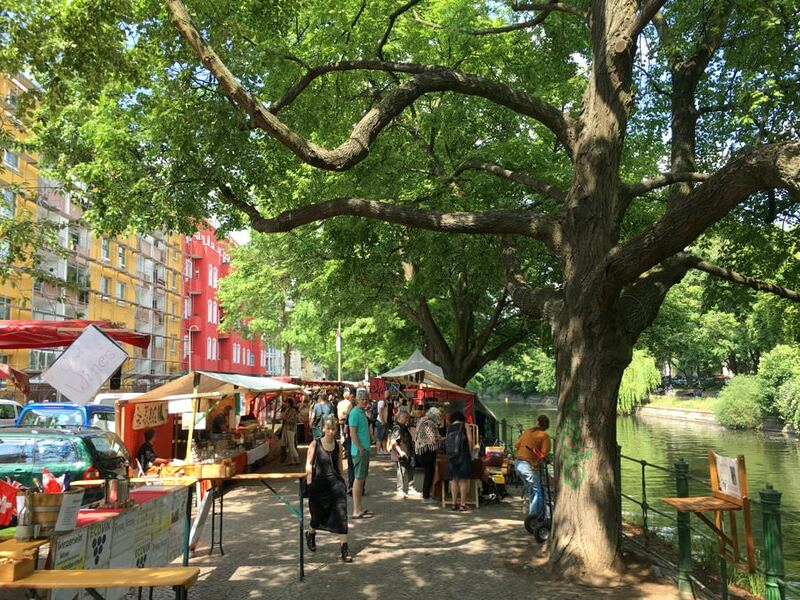 There’s an exciting energy there, and during our week in the city, we have the impression that basically anything goes in Berlin. 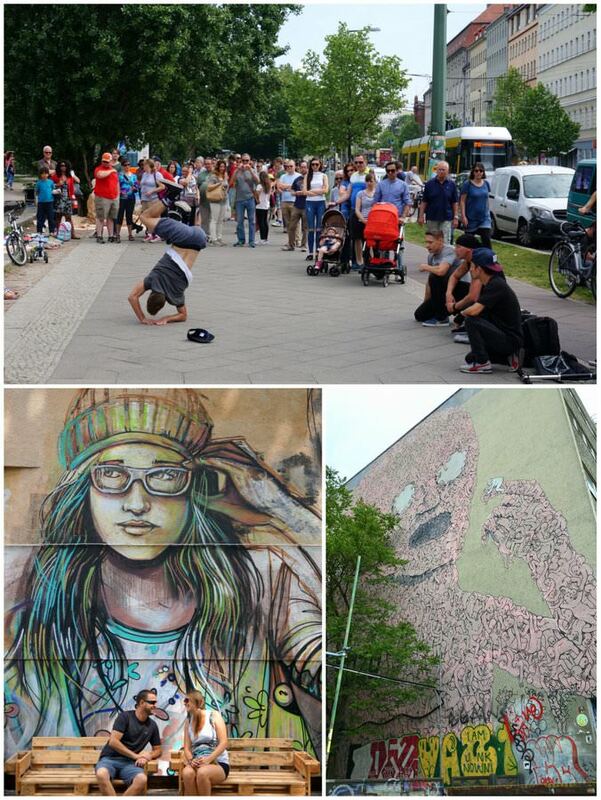 We loved the stunning street art, the street performers, the eclectic neighbourhoods, the many markets, the green spaces and the fantastic restaurants and bars. We could have spent much longer than just a week. 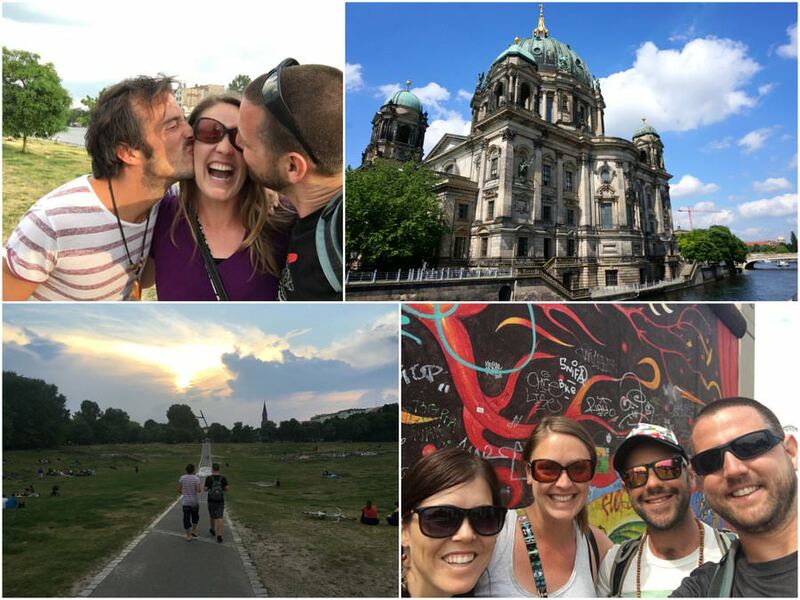 There are so many things to do in Berlin, and experiences to have. Some of our favourite moments were just walking around and soaking it all in. Meeting up with friends in Berlin was a highlight for sure! Meeting up with our longtime travel friend, Henrik, who we first met in Mozambique in 2012 was so much fun…as was renting an apartment with our crazy blogging buddies Nomadasaurus. We stayed at the Plus Hostel and at Apartment Schmidt. We loved the food at Zazza, curry wurst, Holi Cow Indian Streetfood, food at the street markets and anywhere with kebabs. $119 / day including everything. This city is like something straight out of a Disney movie. There is literally a castle set high on a hillside! The buildings are colourful and the old town is teaming with beautiful architecture. We enjoyed exploring the neighbourhoods, visiting the castle, checking out the weekend markets, and visiting with friends. We lazed in parks and stayed up late at beer gardens. 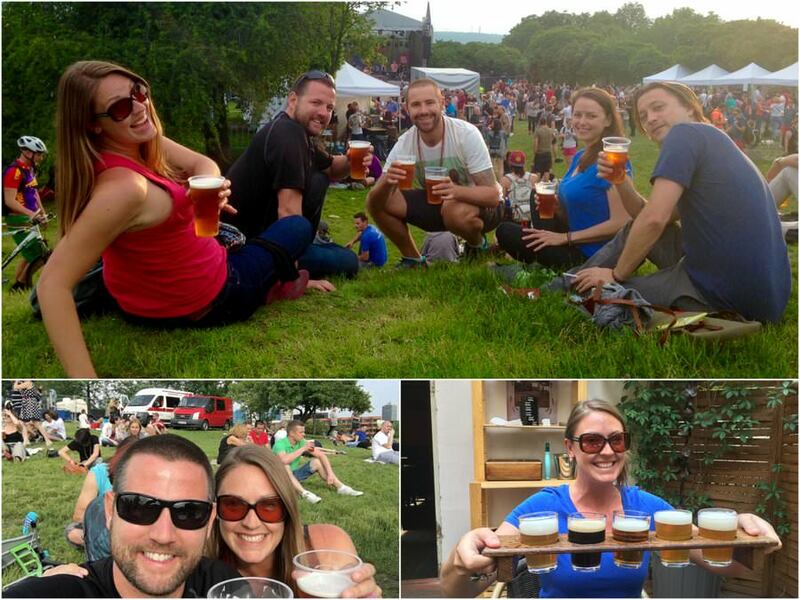 Thanks to one of our readers, we were able to see the beer festival as well. The people of the Czech Republic drink more beer per person than anywhere else in the world…needless to say, beer played a big role in our trip to the city! Prague is one of the most aesthetically pleasing places we’ve seen, and we definitely needed more time there to see more of the city itself, and the surrounding sites. We stayed at the Hostel Orange and would not recommend it. Rooms were extremely small, and about 15 people have to share one bathroom. 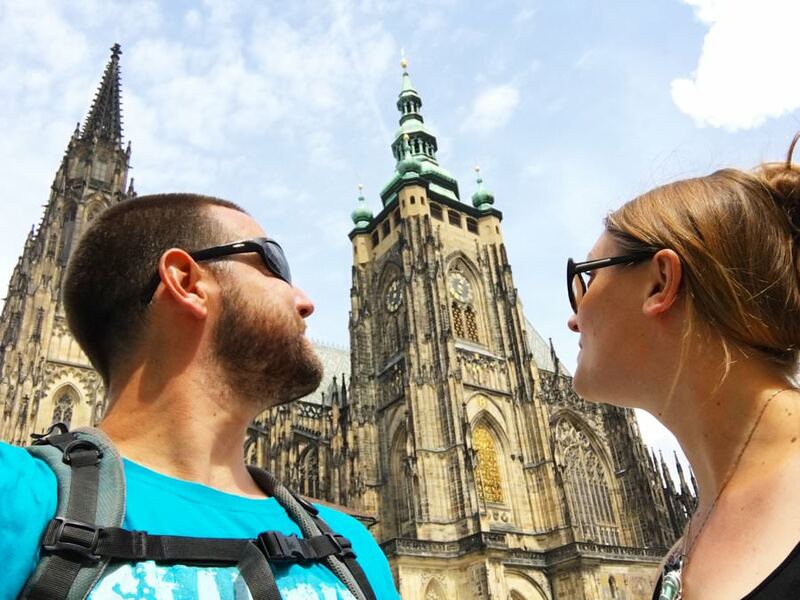 Click here for other hostels in Prague. We ate at Pincu, Baguette Boulevard, Prague Beer Museum, Zebra Express, Lokal and Cafe Colore. We found many markets which we sampled food at as well. 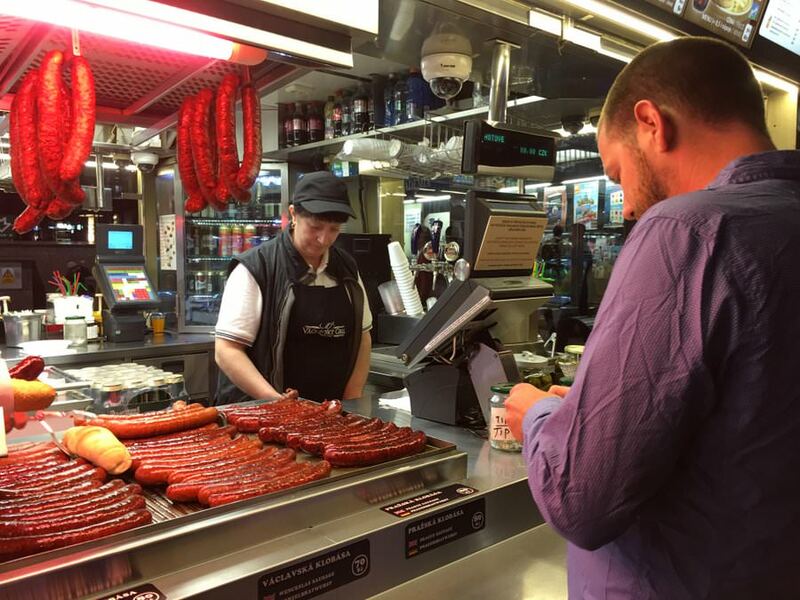 Nick ate numerous sausages from the sausage stands, which are everywhere! $116 / day including everything. 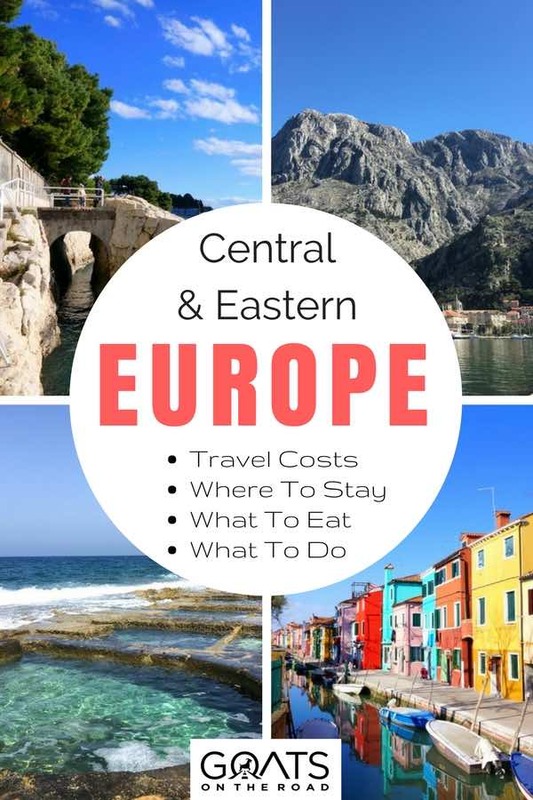 Eastern and Central Europe is a region of the world that we highly recommend. 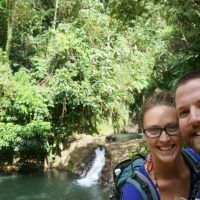 However, five months isn’t nearly enough time here, and when we were initially planning our adventures, we actually had more countries on the itinerary. But, rather than just spending a week in an entire country, we chose to focus on spending at least 5 – 7 days in one city alone. We know that we’ll be returning to the region again! We still plan to visit the countries that we missed in the east, and to check out more of Central and Western Europe. Your turn! Have you been to any of the countries that we just visited? What were some of your highlights? If you’ve never been, do you plan to visit? Why / why not? Yes! Power tour indeed 🙂 That 2 months in Malta was definitely needed. Croatia and Italy are spectacular – Italy was a huge highlight for us. Fab article and so imformative. Italy was my first trip way back in 1990! I hitchiked top to bottom with two friends, a great experience. I don’t think it is possible not to love Italy. You visited some of my other favs Croatia, Turkey and BG but I hope you get time to visit Bulgaria again as if you did not see the most beautiful.places, Sozopol, Nesebur amd the Rhodope mountains! I go again on thursday my 6 th time and I stull have a list of must see towns! Thanks for commenting and enjoy your trip! Great itinerary, and I love this recap post! I’ll definitely be flagging it for reference as we continue to travel Europe. Thanks guys! Hope you find it useful 🙂 We loved this part of the world. 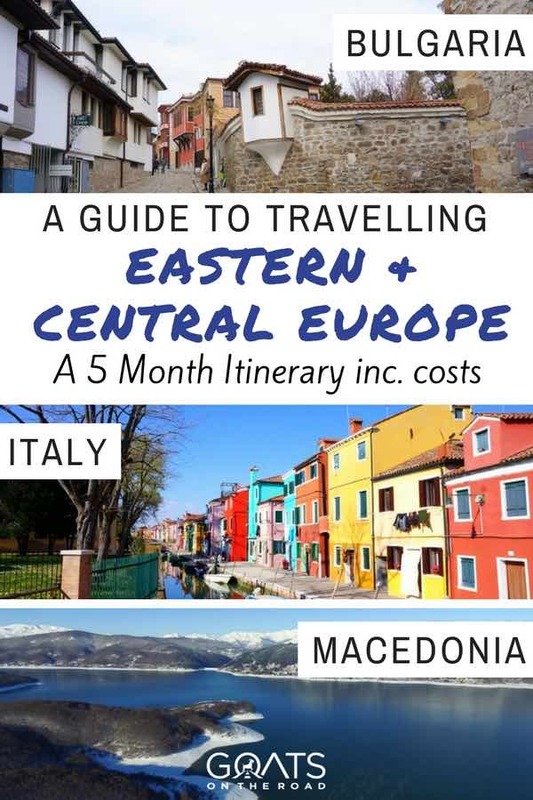 I’m spending the next 6 weeks traveling around the Balkans, and this is full of helpful info. Cheers guys. This has got me pumped. Amazing! Where do you plan to visit? This is a god-damn epic guide! 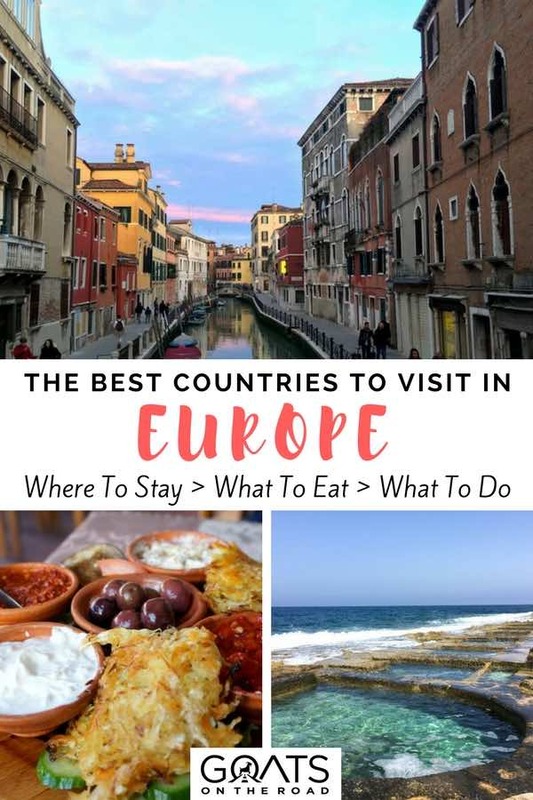 So glad you included Albania; hand’s down one of my favourite countries to travel in! Yes! Isn’t Albania amazing? It’s so wild and “out there” and interesting, we loved it and weren’t even there in the best season. 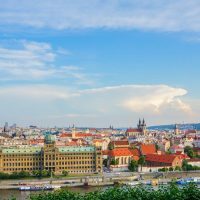 I spent 6 weeks in Prague and it wasn´t enough. What an amazing city. P.S. I am from Grenada. I see you guys have been there. Yes, Prague definitely needs more time for sure! Love Grenada! Where do you live now? Berlin is my favourite love place. I feel like it is my home even if I am czech (but from north czech republic which used to be german , ao maybe this is why :). 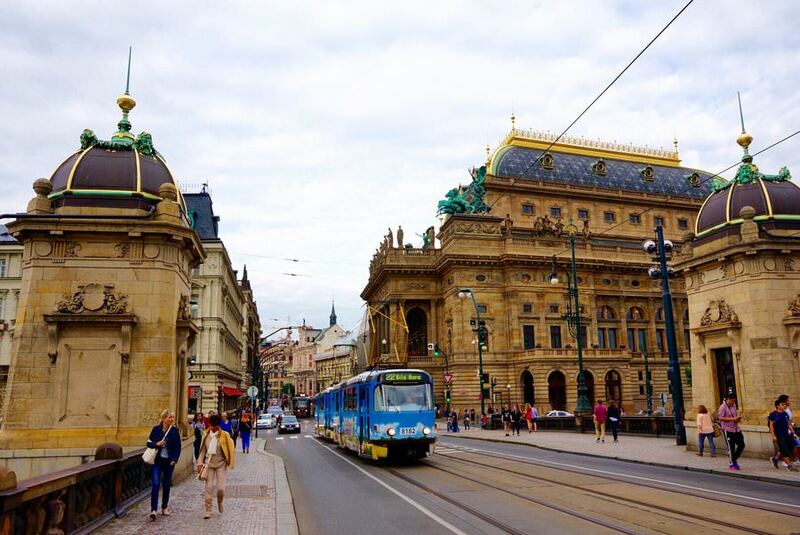 Prague is great in the centre but like I person who lives there (not now) I lost any interest in this city. I am praguer and I really do not likw a lot of thinhs there, but it is my problem :)) ,aybe it will be different after my come back in a year. But I am more ans more interested in Balcan and I really love every article of it :)) I am glad I have found this blog, I will follow you :)) what will be your next destinaion? Thanks for your comment Adel 🙂 We too love the Balkans, and Central / Eastern Europe! We’re in the Caribbean right now, in Grenada. Cheers! Guys this is a hugely helpful and concise article! I’m just wondering when you refer to your daily budgets in dollars, are you meaning CAD or USD? Thanks a lot! Thanks very much Jeremy 🙂 The money on our site is always listed in USD, unless otherwise stated. Cheers! Hello, im gonna travel the places you wrote about, this is so helpfull! 1. You rentet a car, do you know if the public transport is ok? 2. Did you met people during the way? Or more alone? Yes, public transport is available, it’s not as easy in Albania, but doable. Buses are doable everywhere, but trains only in some countries. You will meet lots of locals and other travellers. Have fun!